Size: S (M, L, XL, 2X, 3X). Sweater has slightly oversized fit. Materials: Plymouth Yarn Grass (65% cotton, 35% hemp) worsted weight yarn, 115 yards (105 m) / 50g, color 9089 - 7 (8, 8, 9, 10, 10) balls. k1, p1 in each round. The 1st and last stitch of the pattern are selvedge stitches. To make the edges of your work even and smooth 2 more stitches (selvedge stitches) are added. 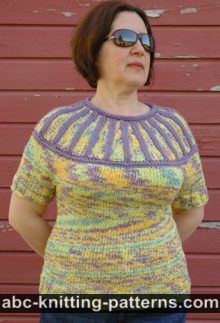 You should always slip the first stitch as if to knit and purl the last stitch. 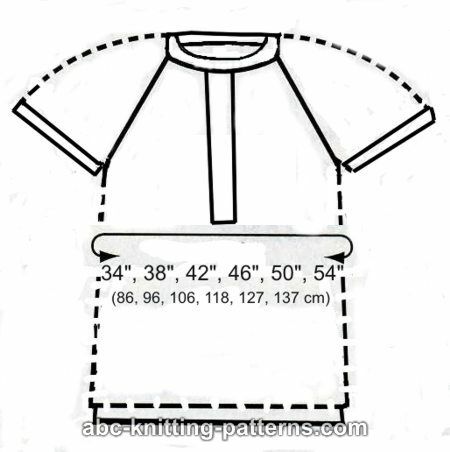 The selvedge stitches are not counted in the pattern unless otherwise specified. 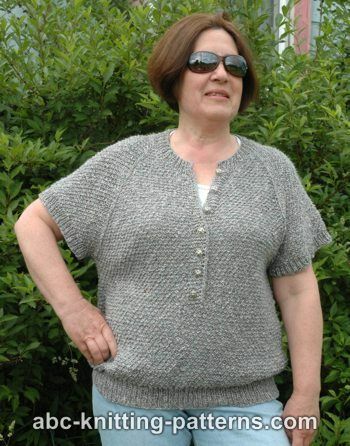 The sweater is worked from the top to the bottom back and forth and in rounds without seams. Cast on 42 (47, 49, 52, 53, 57) sts using waste yarn and provisional cast on method. Work sand-stitch pattern for 26 (26, 32, 40, 38, 34) rows increasing for 8 sts (double increase at the raglan sts) in each even row as follows: M1, k1, M1 at the raglan st.
For another 28 (32, 32, 28, 36, 44) rows continue to increase back and fronts at raglan lines in each odd row. For sleeves now increase in every 4th row only for 7 (8, 8, 7, 9, 11) times. At the same time increase for 1 st at the beginning and the end of the even row (2 sts per row). 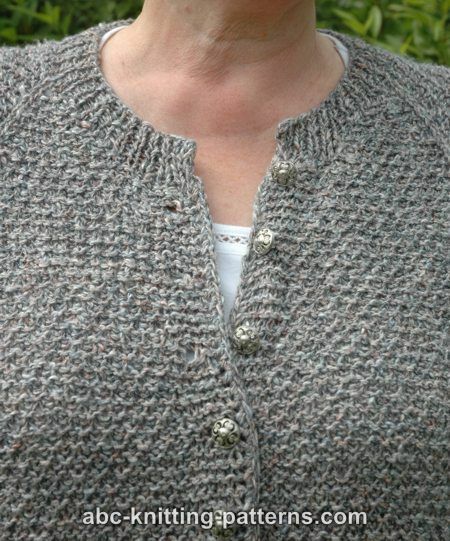 Work 16 (16, 18, 18, 20, 20) rows to shape the neckline. 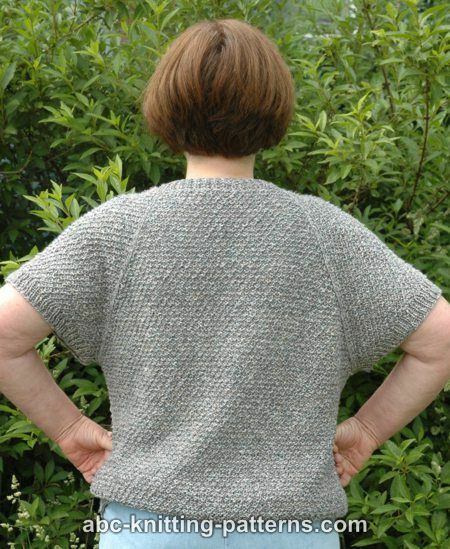 Knit all odd rows, purling raglan stitches. Next row: knit cast-on sts, work Sand-Stitch pattern, cast on 12 (13, 14, 15, 15, 16) sts with single cast on for the left front and the left band. Knit the band sts in every row (garter st). In rows 21, 33, 45, 57, 69, 81 (S, M) [21, 33, 45, 57, 69, 81, 93] (L, XL) and [21, 33, 45, 57, 69, 81, 93, 105] (2X, 3X) make buttonholes in the right band as follows: k3, yo, k2tog, k1. Row 55 (59, 65, 69, 75, 79): Knit 6 sts of the band, work left front sts, transfer the left sleeve sts to a length of yarn, cast on 7 (9, 11, 14, 17, 19) sts with single cast on for underarm, work back sts, trasfer right sleeve sts to a length of yarn, cast on 7 (9, 11, 14, 17, 19) sts with single cast on for underarm, work right front sts, knit 6 sts of the band. 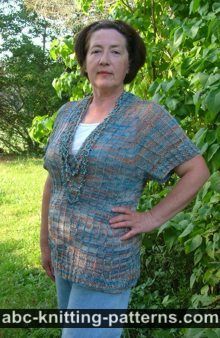 Continue to work bodice in rows, back and forth for 20 rows. Next row (round): Work as established to the last 6 sts of the band. Position the 6 sts of the right band over the 6 sts of the left band and knit them together. Place a marker, this will be the beginning of the round. Continue to work the bodice in rounds. Please note that now you need to purl the odd rounds. Work Sand-Stitch pattern for 30 rounds, or to a desired length. Work 10-12 rounds of 1x1 ribbing. Cast off. 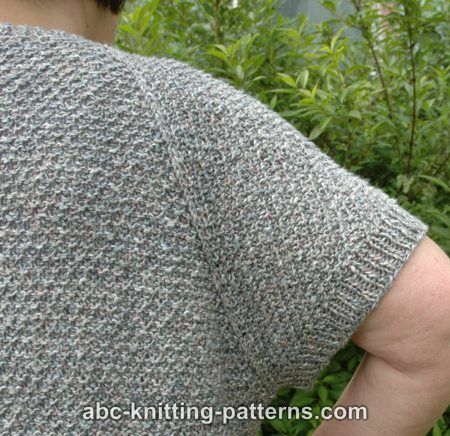 The armhole is finished with 1x1 ribbing worked in rounds. Transfer sleeve sts from the yarn to the needles and pick up 7 (9, 11, 14, 17, 19) sts over the 7 (9, 11, 14, 17, 19) underarm sts. Work 1x1 rib for 10-12 rounds. Cast off. Unravel the provisional cast on, transfer the sts onto needles, pick up sts on both sides along the left and right band ends. Work 8-10 rows of 1x1 rib. Cast off. Pattern was updated on August 26, 2014. There are 13 total comments on this article. I don't see that you received a response or if you figured out how to copy the pattern, however I'm going to respond any way. If you highlight the pattern with pictures and right-click on your mouse; open a blank Word document; right-click on the mouse and select paste you will have copied the pattern. From there you can edit the document. Hi, Kathy, I have tried every way but Sunday to print this out and all I get is the text. The pictures won't print. I even tried to print screen and paste to paint, but no luck. I would like this website or someone to show me how to print the pics. 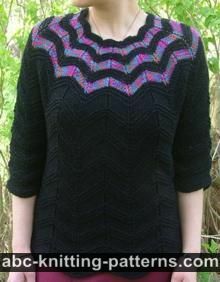 I really like this pattern and like that it is shown on a woman, not a skinny bean pole. The top line gives the title/name of the pattern. If you look right under that you should see the Facebook/Like; Twitter/Like; and at the far right Pinit. To the right of that it says "Print Version". If you click on that it will give you the print version which should allow you to print it out. To print the pictures, right click over the picture, control C. then paste into your word doc with control P.
The alternative is to right click on thr picture and scroll down to "save image", give it a name and save in "pictures"
I believe that is Control V. Control P is for printing. Freudian slip! You are absolutely right. Thank you very much for sharing. This pattern is exactly what I have been looking for. What a great pattern. Nice to see a useful and attractive pattern in a larger size. 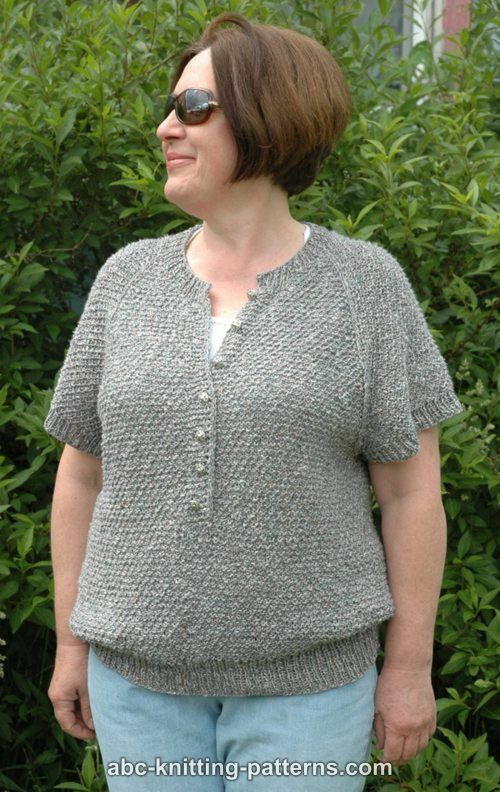 Looking forward to knitting it, thanks for the pattern.